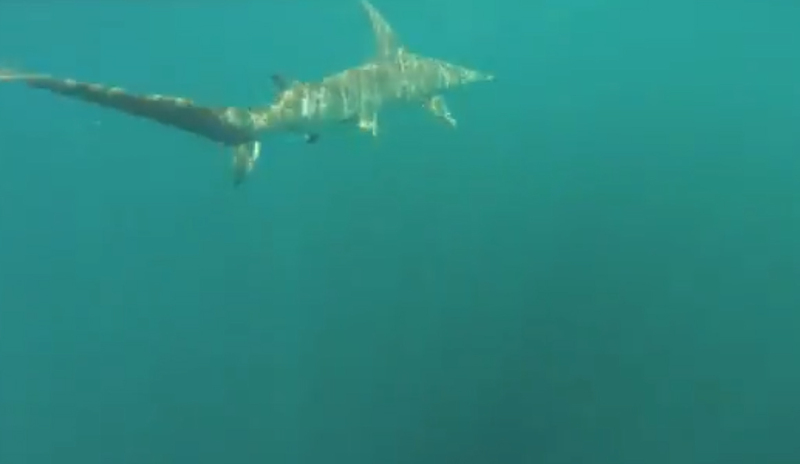 Adam Fisk reckons that a shark must have been sitting right underneath his kayak in late March because, as this video shows, once he threw out the fish bait he was towed "for miles." Adam told Storyful the hammerhead shark "towed me for about two hours up and down the coast and ended up taking me offshore at least a mile and a half. I ended up releasing it."